Untouched natural beauty at its most! North from Platrithias village through the dirt road leading to the north east coast of Ithaca Marmakas beach is found. The name derives from the sea bottom which is covered with white pebbles and look like marbles which reflect the sunlight. The waters are blue and deep, the shore is sandy and the trees around it offer abundant natural shade to the visitors. 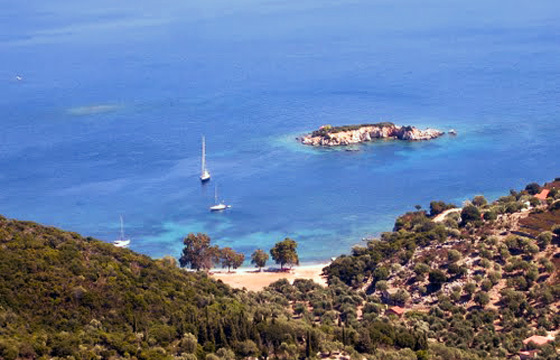 Marmakas beach is a tranquil haven, ideal for absolute seclusion and relaxation.